The wide open double flowers of Double Earlies resemble peonies. 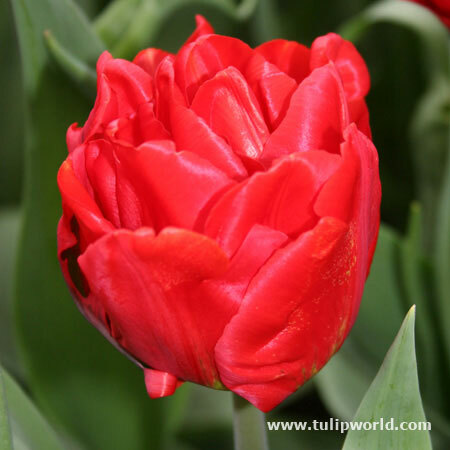 Double tulips have large long lasting blooms that are excellent cut flowers. They always attract a lot of attention, so they should be combined with modest neighbor plants like late flowering perennials or not too tall ornamental grasses. These are the best quality bulbs I have ever received. The price can't be beat. Fast shipping. Have made multiple orders.